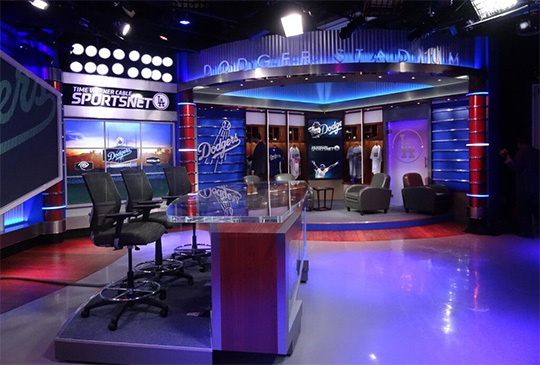 SportsNet LA, the new cable network owned by the Los Angeles Dodgers and managed by Time Warner Cable, launched this week with a sports-infused set design. The set was designed by Jeff Hall of JHD Group. Troika designed the graphics, which are similar to TWC SportsNet. 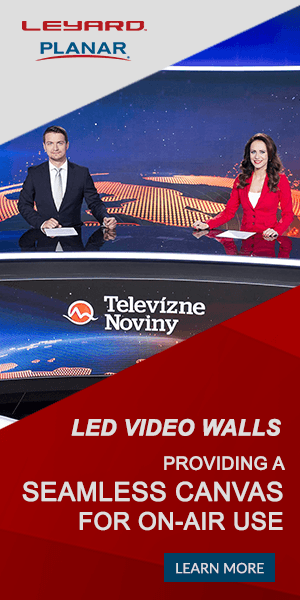 An anchor desk fronted by two bezel-less monitors is located camera center. The desk mixes sleek metal, wood and a hint of blue backlit plexiglass. 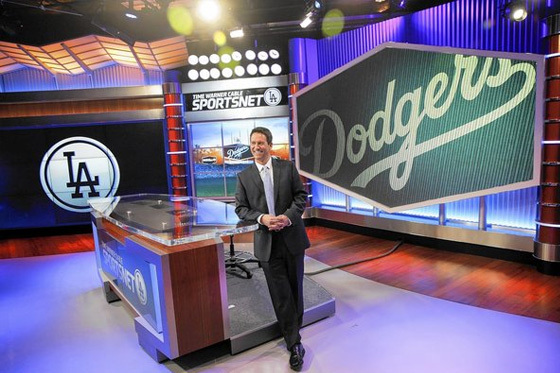 Behind the main anchor desk is a large video projection screen that mimics the shape of the Dodger Stadium video board. Faux windows flank the anchor desk on both sides with stadium lights appearing from above. To the right of home base is an interview area, designed to look like the Dodger’s locker room. The set features a 3×3 monitor array to the left of home base, with a zigzagged header element. 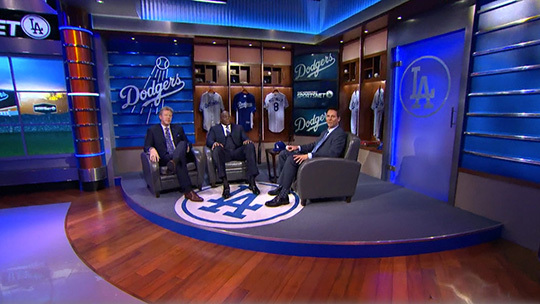 Bronze columns with silver lines add visual interest around the set, with plenty of Dodgers branding. 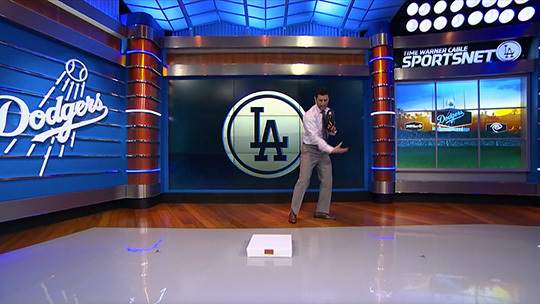 Similar to its sister networks, TWC SportsNet and TWC Deportes, SportsNet LA uses a jib camera for most of its primary shots, with a few stationary cameras for cutaways. Overall, the set does a good job tying in past and present with the Dodgers brand. As regional sports networks expand, expect the production values to continue to increase and the budgets for gear and studios to rise.